I know I am late putting together reviews of these races and I am sorry, but here they are! 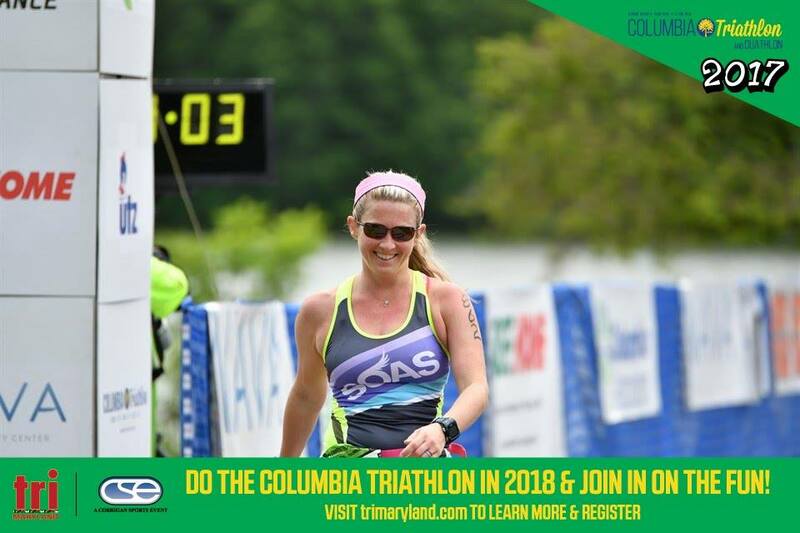 I raced the Columbia Duathlon more as a fun warm up run/something to do plus I would like to try and do more duathlons in the future so I figured I’d give this a try. I knew it was going to be hilly, but I didn’t expect it to be that hilly. So this race was a great tune up and eye opener, I gotta practice on more hills. On Saturday, I drove up to Columbia from D.C. which is about an hour drive to go to packet pickup and drop off my bike. I will say it was rather annoying having to do that the night before a race which wasn’t very big, but what can you do. The next morning I was up early to drive back out to Columbia. 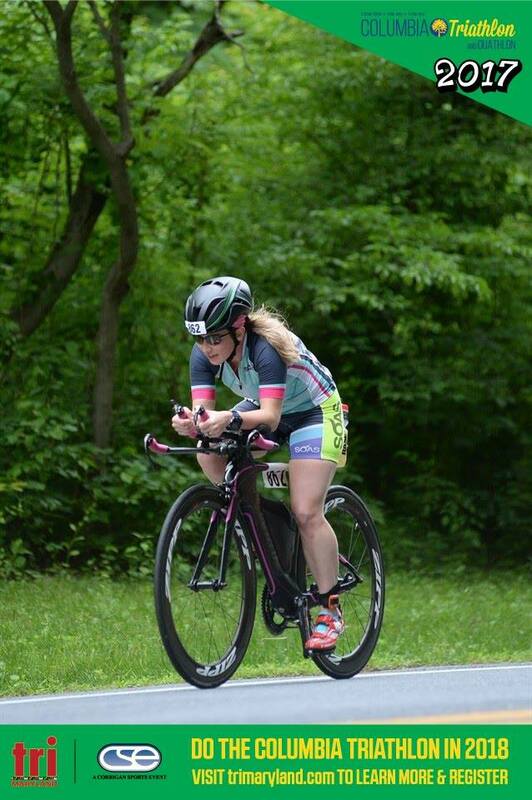 I set up my bike in transition and waited until it was the Duathlons turn to begin. There was a triathlon that morning as well so we were racing at the same time. The Du racers began at 7:10 and ran the 2.2-mile loop around the lake where the swimmers were taking part in the first leg of the triathlon. It was a semi hilly run with a lot of ups and downs and rollers. 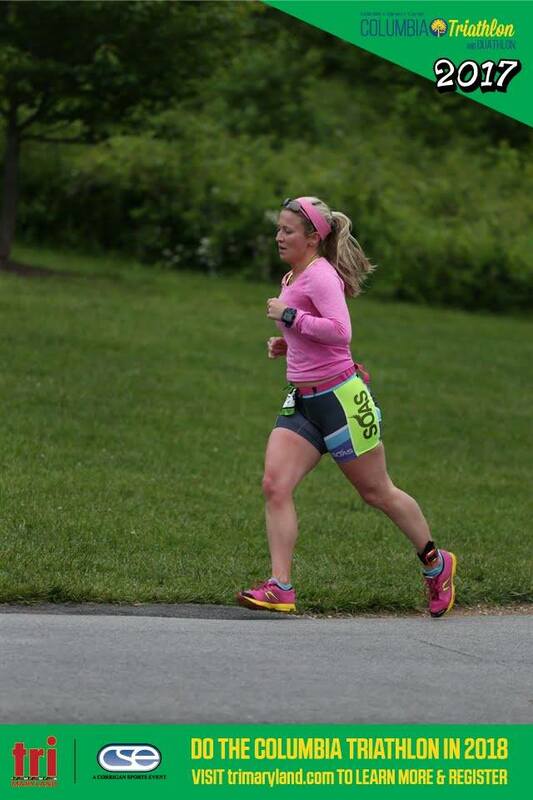 I ran the course a few years ago, so I was familiar with it but tried to not go out too hard and focus on getting up those hills. The temps were all over the place. It began cold, so I wore a long sleeve shirt for the first run, then I took it off and put on my bike jersey for the bike portion. This is why I was a bit slower in transition. Oh and the fact that you had to go up this steep hill to get onto the bike course. Whoever designed that as the bike out and in, was not very smart. Also, this lake is more like a pond as there are many ducks which made the lawn where the transition was a duck poop infested area. There was a pack of us for nearly the entire bike where we would go back and forth passing each other. This bike course was hilly and included and out and back with a loop. So you already knew that what you just went down, you will have to go back up again. I did not like the fact that the course was open to traffic, but it was early enough in the morning where we didn’t have as many issues with cars. There were two aid stations on the 25-mile bike course which was nice and refreshing and allowed me to refill my water. I was averaging 25-30 mph on the downhills and like 7-12 on some of the steep inclines. I ran back down the steep hill. Racked my bike while avoiding duck poop, took off my jersey, put on my shoes and ran back out. The second run was the first part reversed but included a lot more hills. 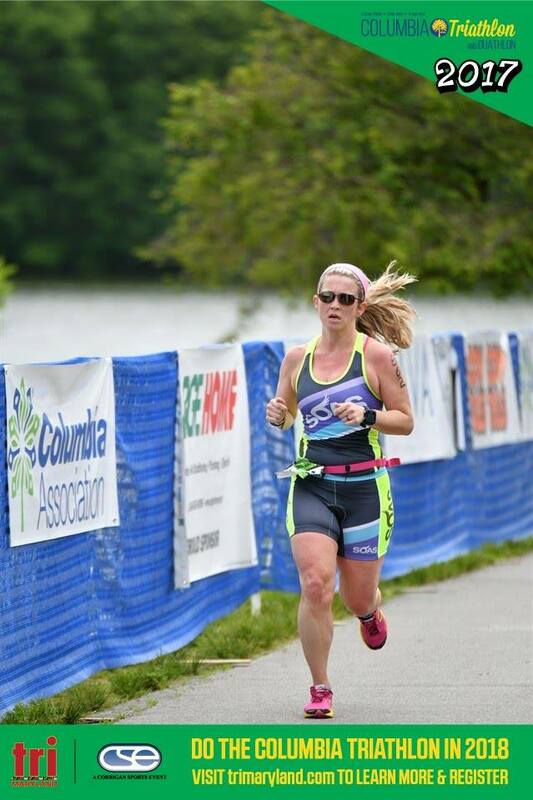 When I left transition, I was in 2nd place and passed very quickly by girls who could handle the hills and didn’t kill their legs on the bike. The course took us back around the lake, outside the park, and through a local neighborhood, back into the park and to finish back where we started the day. The run course I felt was not well marked as I saw some people go the wrong way and at times I wondered if I was going the right way as well. The volunteers were “helping,” but more so at the aid stations rather than the points of the course where we needed to know which way to go. After the race ended, there was a very nice party with many snacks, a massage tent from Nava Health that was also stocked with acupuncturists, IV’s and a stretch area. Ultimately I found this to be the best part of the race. Once I completed a few treatments, I went back to get my bike and leave as the police were now letting cars out (it was 11 am). Overall, I probably wont do this race again. There were more cons than pros but as I said, I just wanted to see how I would do after a busy Spring.